What is the purpose of the Twisted Lid Recycling Bin? 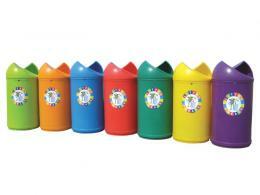 Twisted Lid Recycling Bins are specially designed for use in schools. With their polyethylene body shell and galvanised steel liner, these bins are hygienic and easy to clean, making them perfect for the school environment. Furthermore, they are available in a wide variety of bright colours, and they include a playful “Litter Please” sticker, perfect for use by children. They also include a lock and key system, so they cannot be tampered with. This product is especially useful in a school environment. In classrooms, cafeterias, hallways, playgrounds, and restrooms, these bins provide a kid-friendly receptacle for recyclable goods. 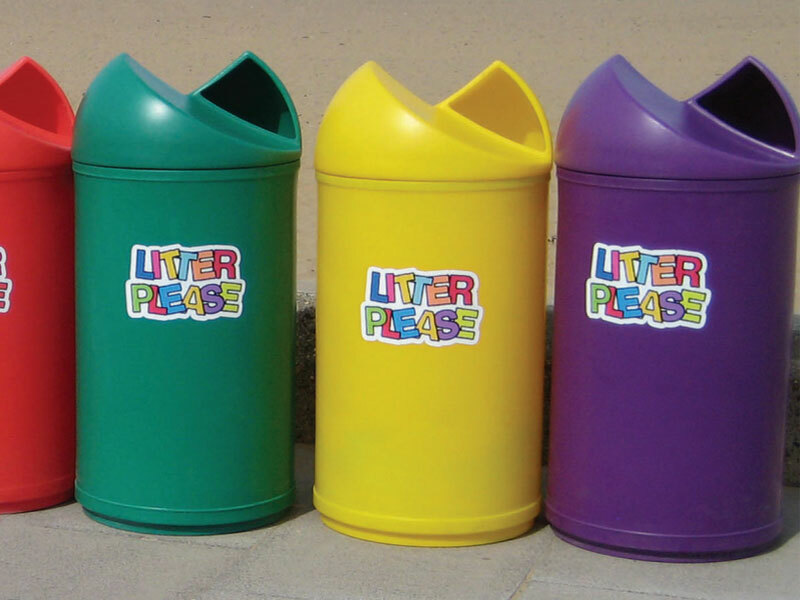 These bins might also be useful in other kid-friendly environments, such as community centers, parks, and clubs. 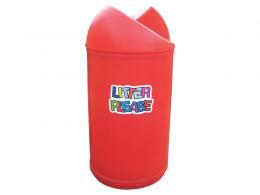 The large, 90 litre capacity means this bin can withstand a lot of waste from a lot of children. Furthermore, a recycling bin for schools can help children become better citizens by encouraging them to pick up litter and always recycle. 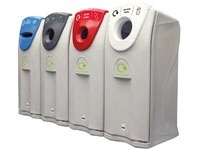 These recycling bins are designed for use in schools, so anyone involved in school activities might use these bins. School administrators and custodial staff might use a recycling bin for schools in an effort to keep their school grounds cleaner. Children of all ages might also deposit their waste in these bins, in a classroom, a cafeteria or a hallway. These bins might also be used by children outside of school, at parks or community centers. Additionally, adults who work with children will find these containers useful for waste disposal. Anyone who uses these containers will appreciate their easy-to-clean construction, as well as their kid-friendly design. These are versatile recycling bins, and they can be used by many people. Dimensions (H x D – mm): 1130 x 520. The recycling bins for schools have a lock and key system in place.